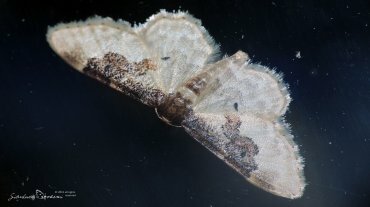 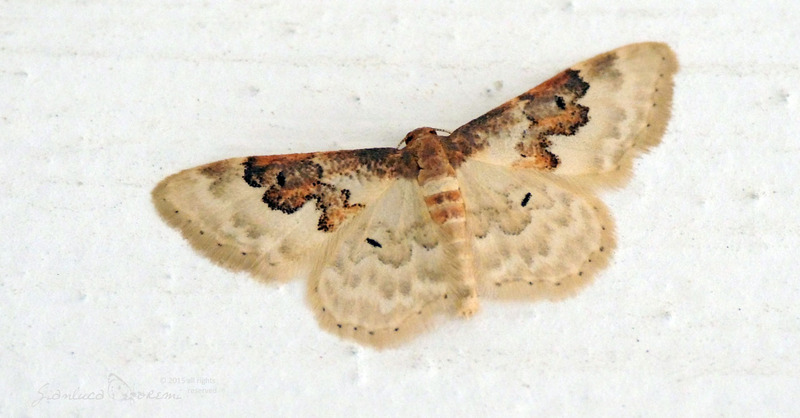 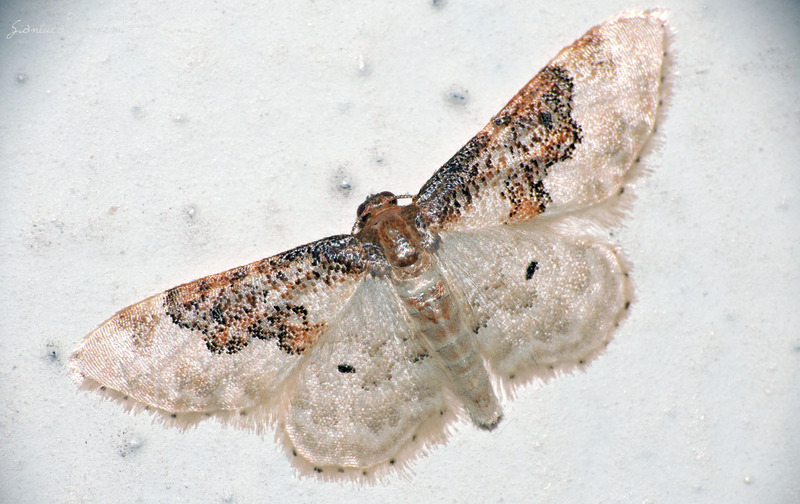 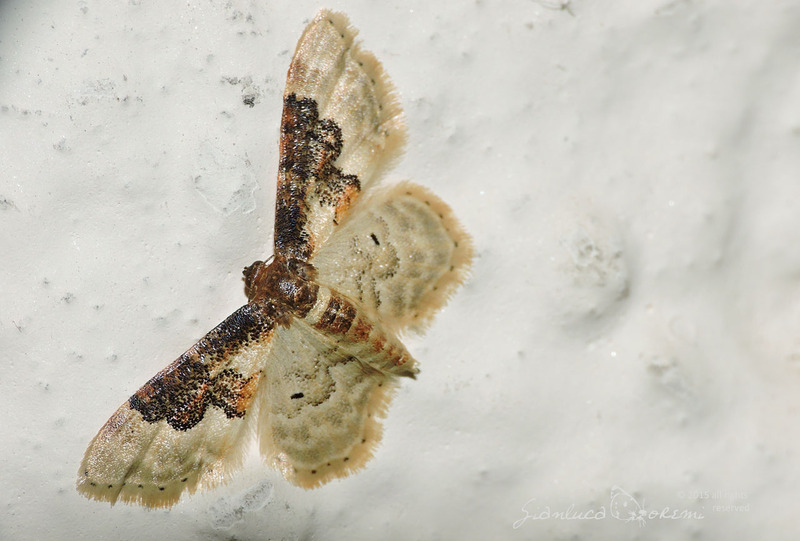 The Least Carpet (Idaea rusticata) is a small moth of the Geometridae family, with a wingspan of 19-21 mm. Adults flicker from June to late August. 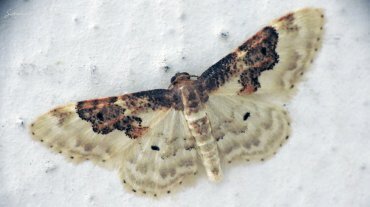 It is present in Southern europe, Middle East, and North Africa. The basic color ranges from cream to very light brown. The front wings have a darker transverse line that varies from brown to orange, edged in darker shades of the same colors. 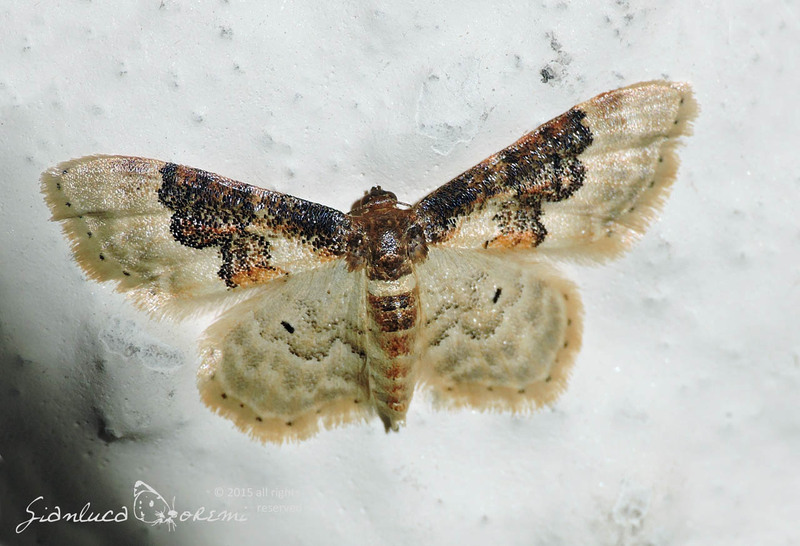 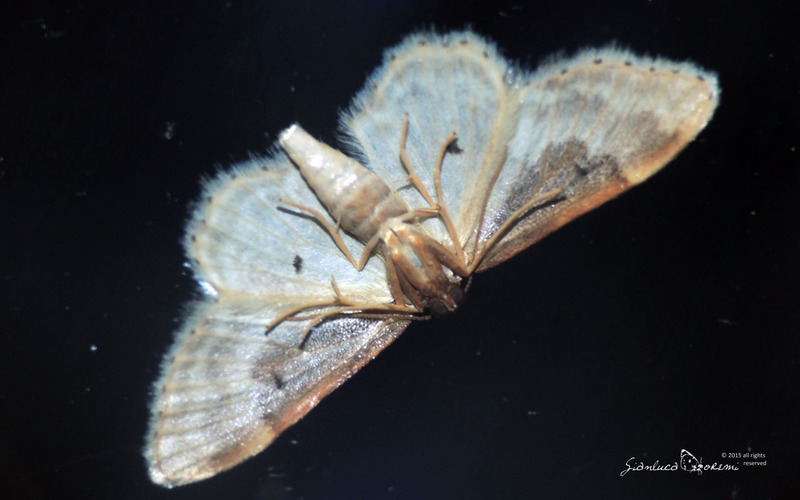 It presents a point in the discal cell of all four wings, always within the dark field, unlike the similar species Idaea filicata, in which the point is partially or totally outside of the dark band. 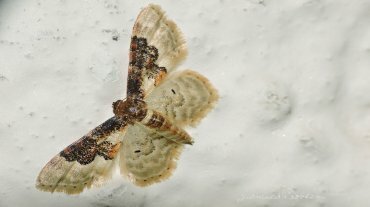 The hind wings have the continuzione the fuzzy front wing line in the wing base colors. 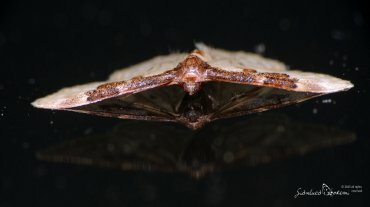 The edge of the wings are fringed. 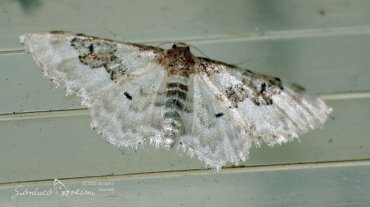 Bivoltine, this moth is primarily nocturnal and it is attracted by artificial light. 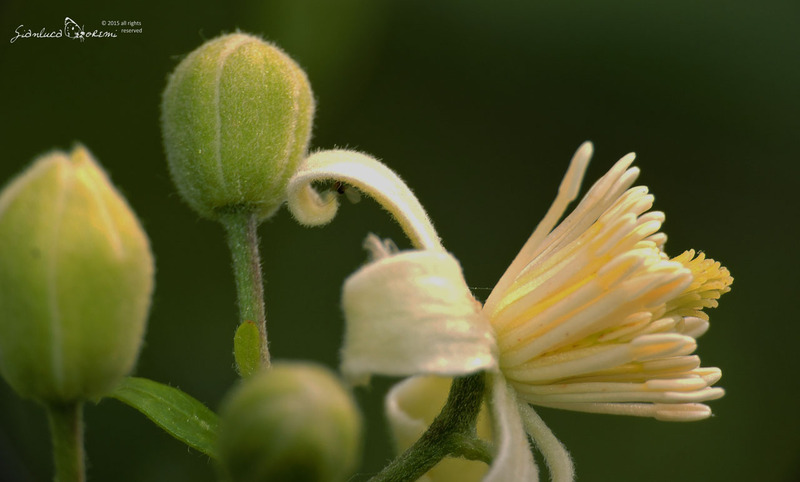 The larvae feed on ivy and Clematis vitalba, among other plants.